We’d like to remind all our parents that if you are what the government terms ‘on a low income’ your child qualifies for Pupil Premium financial support. Students do not have to take our meals as free school meals if they don’t want to but, if they are on our Pupil Premium Register, then they qualify for all sorts of other financial benefits throughout the year. This is because when a student is on our Pupil Premium Register, the school receives extra money for that student which has to be spent only on the education of Pupil Premium Register students. The purpose of this extra money is to ensure that children from low income families are not at a financial disadvantage during their education as a result of home financial circumstances. If you’d like further information or would like to apply for Pupil Premium, Michelle in the office will be only too happy to talk to you or help you fill out the form. Everybody wins when children eligible for Pupil Premium are registered for this additional funding. This helps parents financially and the school receives extra government money to spend on our Pupil Premium students. Most of all, your children win as they don’t miss out because of financial considerations. So if you think you may be eligible, do apply. You have nothing to lose and potentially a lot to gain! Do you qualify? If you are currently getting any one of the following, the answer is yes! Income Support / Income-based Jobseeker’s Allowance / Income-related Employment and Support Allowance / Support under Part VI of the Immigration and Asylum Act 1999 / The Guarantee element of State Pension Credit / Child Tax Credit, provided they are not entitled to Working Tax Credit and have an annual income (as assessed by HM Revenue & Customs) that does not exceed £16,190 / Working Tax Credit ‘run-on’ – the payment someone may receive for a further four weeks after they stop qualifying for Working Tax Credit. 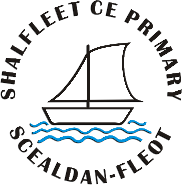 At Shalfleet School we have 79% (19 out of the cohort of 24) can swim confidently and proficiently of a distance of at least 25 metres in a range of strokes. 79% (19 out of 24) of the group can perform safe-rescue in different water-based situations. Shalfleet achieved the Gold Award in the Sainsbury’s School Games for our P.E. and extra curricular activities in the school year 2017-18!! Well done to everyone involved in promoting and delivering 2 hours of quality PE every week and offering and delivering a range of extra curricular activities. These are pictures of the items received at Shalfleet School through the Sainsburys vouchers. Many thanks to everyone for their support with these vouchers.